In Villages, People soak Jowar, grind, ferment and add buttermilk to it. This recipe is called "Ambuli" and is very famous in my region. In today's busy world, we cannot prepare such a elaborate recipe. 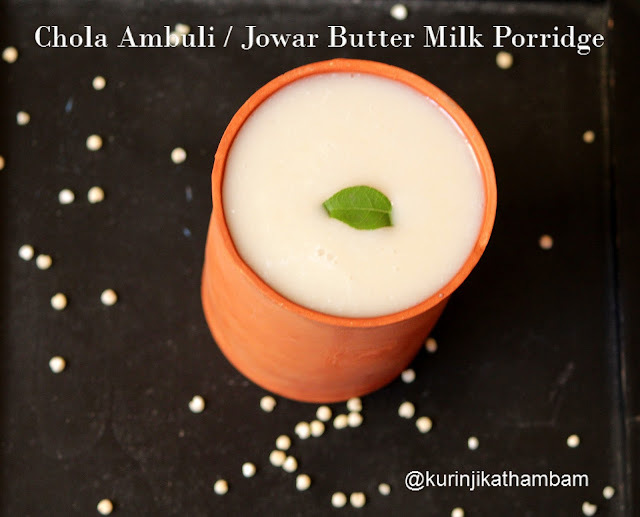 Jowar Porridge is a good alternative because it is quick and easy to make with Jowar Flour. 1. 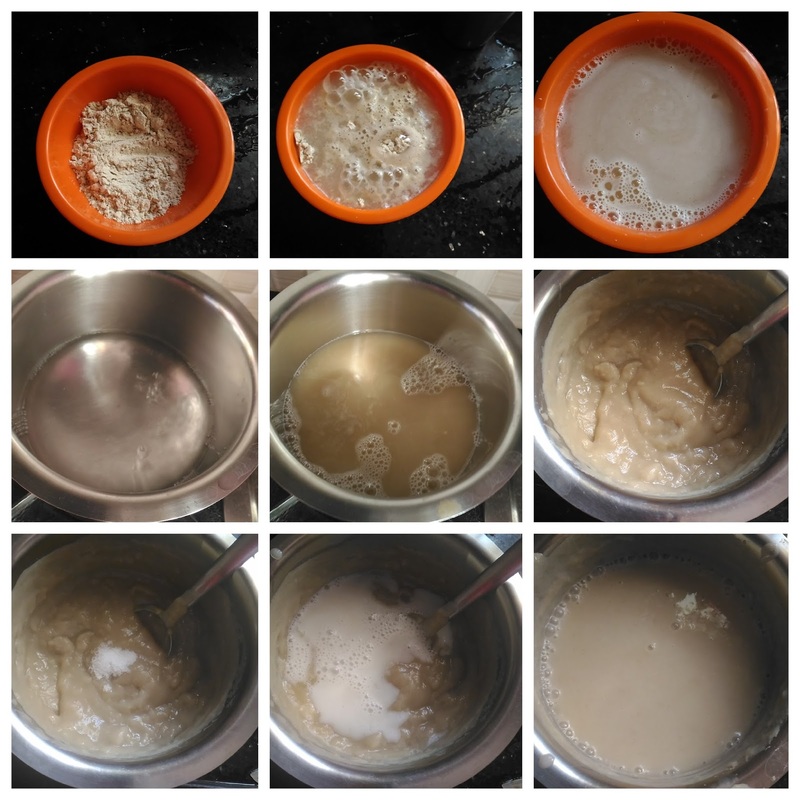 In a bowl, add jowar flour and 1 cup of water. Leave it for 3 mins. 2. Then mix them well without lumps. 3. Add 1 cup of water in a thick bottom vessel. Bring it into boil. Keep the flame at simmer. 4. When it starts boiling, add jowar mixture (from 2) slowly. 5. Stir continuously with ladle because avoid to stick at the bottom of the vessel. 6. Cook them till they become thick. Switch off the flame and allow it to cool down completely. 7. Now add buttermilk and salt. Mix them well. 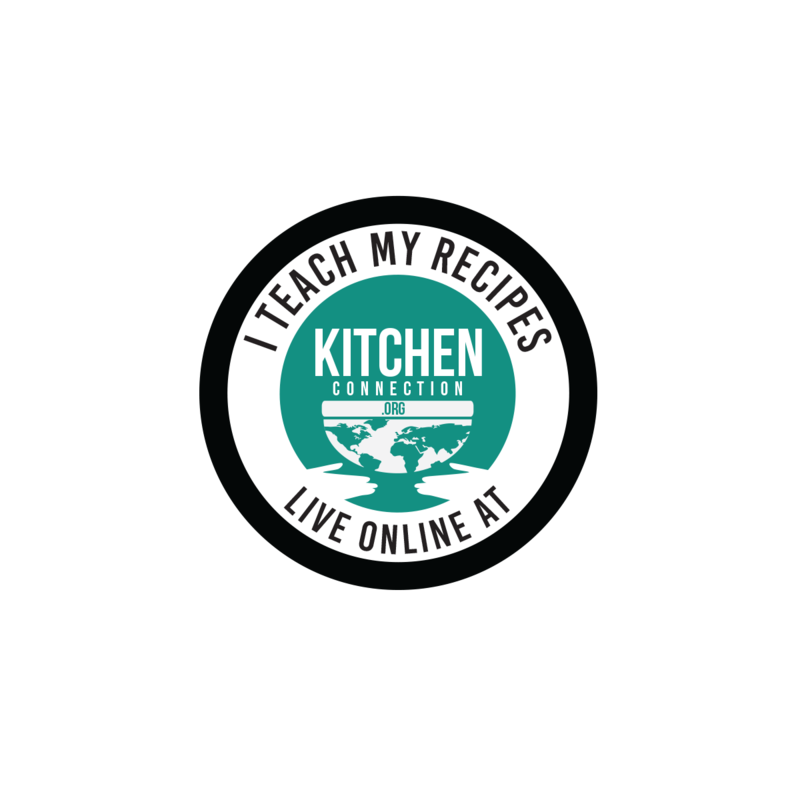 Serve it at room temperature or refrigerate and serve. Healthy healthy and cool cool jowar porridge is ready!